I collected a lot of brooches - some were my Mums, some were my Grannys - that I am unlikely to wear but am sentimentally attached to. Why not try this - get a box frame (I chose black but you can always get a pine one and paint it whatever colour suits). Stick a little bit of padding on the inside of the back of the frame and then cover it in a piece of black material (I had a left over piece of black velvet from another project that worked really well). 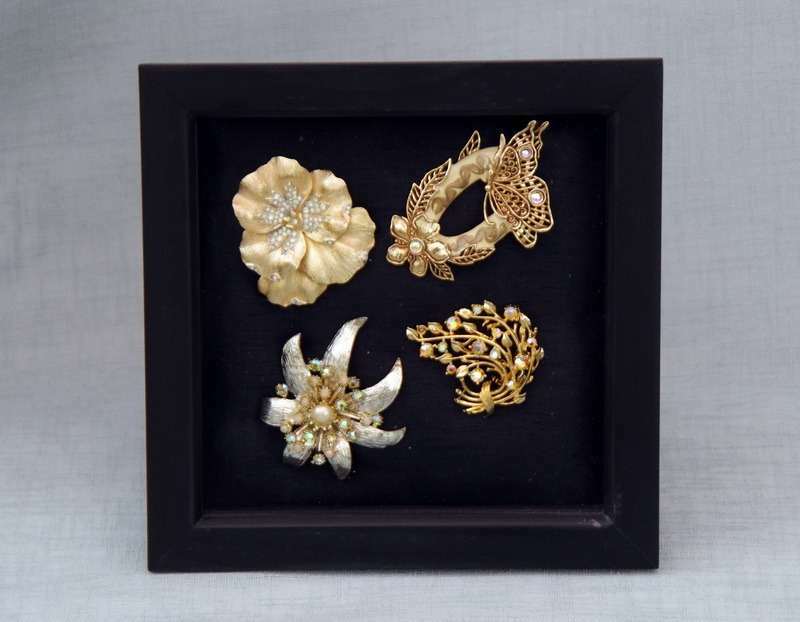 Arrange the brooches - artistically of course - and fit it all back in the frame. I tidied up the back by covering it in masking tape.